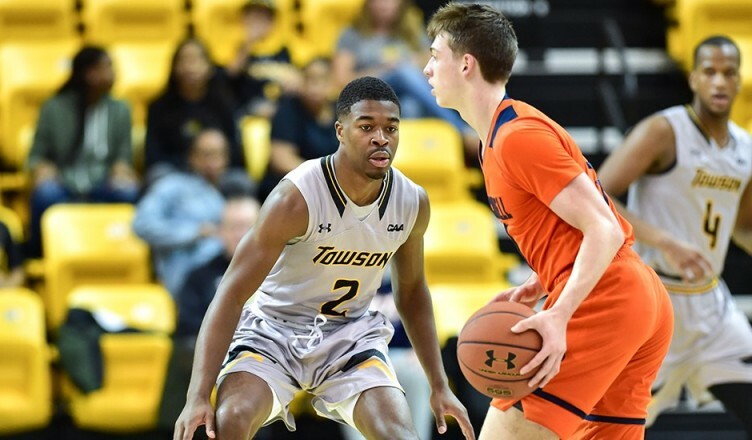 Towson fell in its season opener 57-54 in a tightly contested battle against Old Dominion at the Ted Constant Convocation Center in Norfolk, Virginia, Friday night. Guards Zane Martin and Mike Morsell combined for 37 points, but it wasn’t enough to propel the Tigers (0-1, 0-0 CAA) to a season-opening victory over the Monarchs (1-0, C-USA). Midway through the first half, Old Dominion led Towson 15-7. However, Towson pulled even at 19 with six minutes remaining, and later went ahead on a free throw from senior guard Eddie Keith II. Keith’s free throw gave the team a 29-28 lead going into the intermission. In the second half, the Tigers and Monarchs continued to keep pace with each other. A layup from sophomore forward Justin Gorham pulled the Tigers within two points with 9:34 to play. At the two minute mark, Old Dominion led Towson by seven. Just under a minute later, however, TU was within five points. With 46 seconds left in the game, Martin sunk a 3-pointer to pull the Tigers within one. On the following Monarch’s possession, the Tigers fouled redshirt freshman guard Xavier Green. Green missed the free throw, and Martin grabbed the board. Martin brought the ball up the court, but missed the game-winning 3-pointer. Towson faces Frostburg State in its home opener Monday night at SECU Arena. Tip-off against the Bobcats is at 7 p.m.
Michael Mills contributed to this article.